After publishing the post about Geoff Hanley and the Radio Security Service last week, I discovered this brilliant 1979 documentary from the BBC which highlights civilian involvement in radio-based intelligence during WWI and WWII. 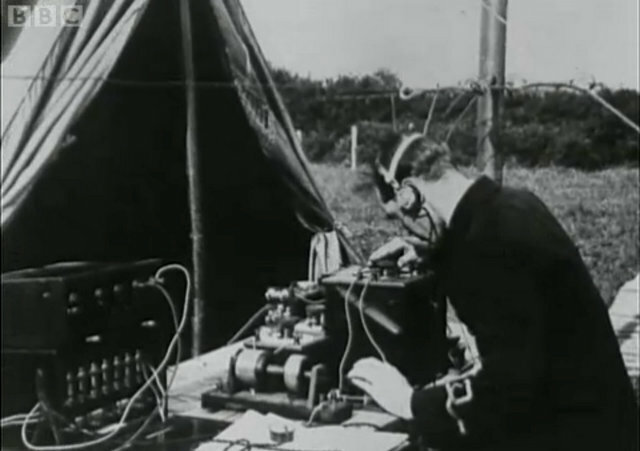 “It was the tireless work of amateur radio enthusiasts during World War I, that initially convinced the Admiralty to establish a radio intercept station at Hunstanton. Playing an integral role during the war, technological advances meant that radio operators could pinpoint signals, thus uncovering the movement of German boats, leading to the decisive Battle of Jutland in 1916. Click here to watch the 30 minute film. This entry was posted in International Broadcasting, News, Nostalgia, Radio History, Shortwave Radio and tagged BBC, EAFA, East Anglian Film Archive, Radio Security Service, WWI, WWII on September 28, 2014 by Thomas.